David Emerald, author of The Power of TED* (*The Empowerment Dynamic), offers a unique perspective and approach to making the shift from focusing on and reacting to problems and toward creating a vision and actions that lead us toward what we want to create. TED* provides a set of remarkable frameworks and processes that can transform your workplace and life. As a facilitator of David Emeralds’ Power of TED*, Kelcy is committed to sharing the frameworks of The Empowerment Dynamic to facilitate self leadership within individuals and interpersonal leadership within groups and teams. Kelcy has extensive experience in the design and delivery of adult education workshops and coaching programs. Drawing on her extensive facilitation skills she engages participants in training sessions to increase interaction and enhance learning. 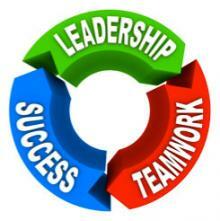 All sessions are action oriented using models and tools that inspire results! 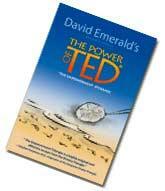 We customize and deliver all workshops, including the Power of TED*, for in-house workshops and intact teams. We also offer public workshops and individual coaching in these areas.